At Trinity School of Medicine we aim to be an engaged, positive member of the Vincentian community. Many of our faculty and students are guests in the country and we always strive to remain not just accepted, but welcomed. This has manifested in many ways, from our culture of belonging to creating local jobs and offering scholarships for Vincentian students, all the way up to major healthcare outreach. 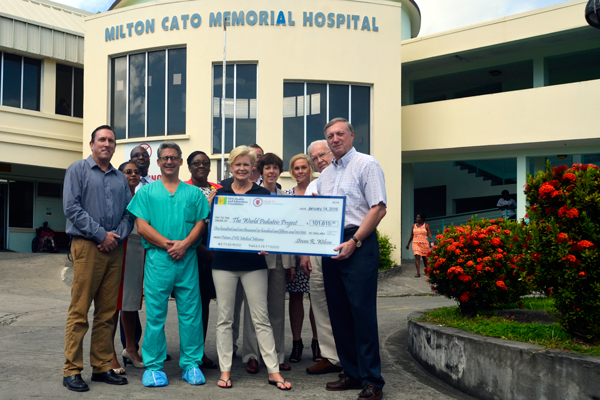 Last week, Steven Wilson, our president, handed over a $101,615.00 EC check to Mrs. Susan Rickman, CEO of the World Pediatric Project at a small ceremony on the grounds of the Milton Cato Memorial Hospital in Kingstown. Representatives present included Mrs. Sally Wilson; Dr. Douglas Skelton, Chancellor; Dr. Linda Adkison, incumbent Dean; Dr. Andrea Reymann, associate dean of academic affairs and evaluation; Dr. Conrad Nedd, assistant professor of clinical medicine and clinical preceptor; Dr. Frances Jack, assistant dean of students; and Mrs. Kaushayla Nedd, head of the deanery. 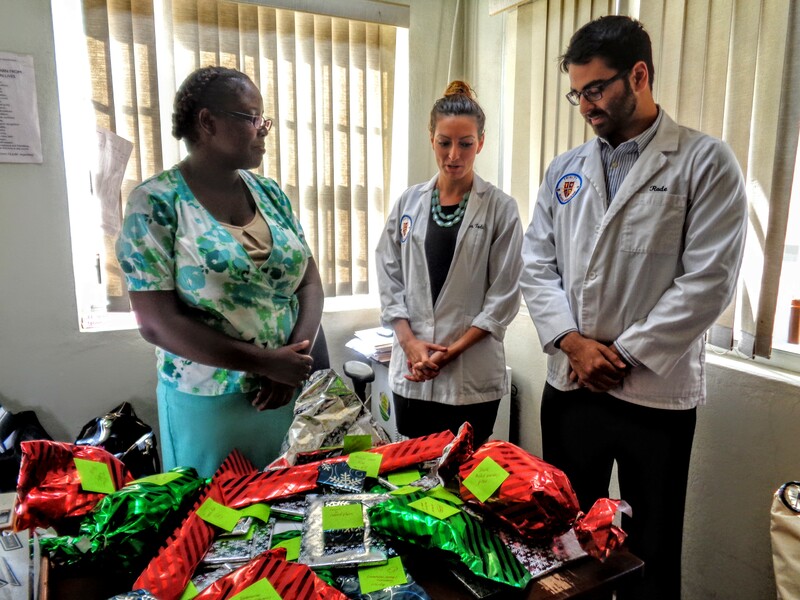 Representing the WPP was Dr. Jeffery Lukish, pediatric general surgeon and head of the first WPP mission for 2016 and Simon Carey, WPP regional representative.